Love Worth Finding’s purpose is to bring people to Christ and mature them in the faith. This happens primarily through efforts in publishing and broadcasting biblical truth. 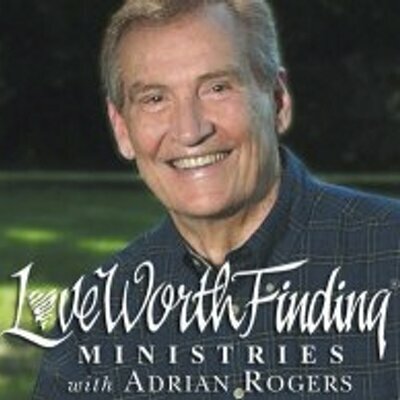 Love Worth Finding began in 1987, as a response to several requests for tapes of messages by pastor and Bible teacher Adrian Rogers. He relates that “soon the requests began to grow to the point that we knew God was leading us into a wider ministry.” As an extension of Dr. Rogers’ pulpit ministry, Love Worth Finding provided that role and continues today.